Greg Riggs 79L, who has served as an associate dean at Emory University School of Law since 2008 and overseen student services, professional development, and external relations during his tenure, has returned to the private sector as a principal with Novateur Partners, an executive coaching, training, and consulting firm. 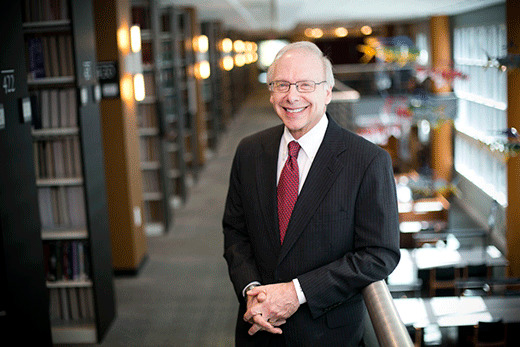 With Riggs’ vision and leadership, Emory Law founded the Center for Professional Development and Career Strategy (the Career Center) in 2011, offering a fresh approach to helping students transition into practice. Riggs understood that for most students, law school constitutes the first three years of their legal career, the beginning of their professional journeys. He expanded the traditional career service model to include a broader focus on helping students create individualized professional development plans. He also deepened student connection to the profession by spearheading the creation of 23 practice societies that roughly mirror legal practice areas. These student-led groups bring together students, faculty, alumni, and other practicing attorneys with common interests in everything from antitrust to sports and entertainment to torts and insurance. Emory Law’s Practice Society program and Center for Professional Development and Career Strategy have become models for law schools nationwide. To honor Riggs’ contribution to the school, alumnus and friend J. David Gibbs 79L and his wife, Kaye LaFollette, have established the Gregory L. Riggs 79L Fund for Professional Development. This endowed fund will support the work of the Career Center, perpetuate Riggs’ name and legacy at Emory Law, and stand as a philanthropic example for generations of students, alumni, faculty, and staff. students and have remained friends since their graduation.